Oxygen content can elevate in the blood as quickly as 1 week following the cessation of the smoking habit. There are more than 4000 chemicals in cigarette smoke and at least 50 have been proven to be carcinogenic. Decreasing the oxygen content in the blood leads to an increase in lactic acid during exercise and a decrease in muscular endurance. It is predicted that “smokers” are 50% or greater more likely to suffer an injury than “non-smokers”. Seek advice and treatment from a Physical Therapist if you get injured and in addition they can help you find a smoking cessation program. Some recent studies indicate that people who smoke cigarettes are less likely to develop Osteoarthritis (OA) of the knee. These studies should not be taken as a recommendation for smoking cigarettes. Healthcare professionals have thousands of studies that show the detrimental effects of smoking on the human body. The link between smoking and OA is not clear, and it would be nearly impossible to support the habit of smoking simply to reduce the chances of developing OA in the knee joint. When people smoke, they ingest several thousand chemicals with every inhale of smoke. The chemicals have been proven to be harmful to the human body. Some of these chemicals are carcinogenic while others can lead to hypertension by distributing tar and nicotine in the blood vessels of the body. Smoking can impede healing because the carbon monoxide in the smoke can “steal” the oxygen from the red blood cell. Injuries need richly oxygenated blood to heal. Anything that decreases the oxygen content in the blood can inhibit the healing process. All healthcare professionals including Physical Therapists should provide educational materials regarding smoking cessation. Most hospital centers have smoking cessation programs and patients should be encouraged to seek out help to stop smoking. Their ability to stop smoking will enhance their ability to heal if they get injured. The first goal in treating Osteoarthritis is prevention because there is no known cure for the damage when it has progressed to the most severe state. Osteoarthritis of the knee joint is extremely common in the active population. The articular cartilage (hyaline cartilage) can withstand a tremendous amount of compressive and sheer force, but too much of any of these can lead to the “break-down” of the cartilage surface. Every day Physical Therapists work with patients facing challenges from OA knee joints. The goal of the rehabilitation programs is to prevent the progression of arthritis and help the patient maintain the highest level of function. The program will consist of exercises to stretch and strengthen the muscles and soft tissue surrounding the joint. Maintaining enhanced strength and flexibility will stabilize the joint and enable the joint to deal with the stresses that occur during activities of daily life. Osteoarthritis can affect any joint of the body but weight bearing joints are much more susceptible to OA than non-weight bearing joints. Findings of studies that indicate that “smokers” might be less prone to developing OA exist but the detrimental effects of smoking far surpass any possible benefit. 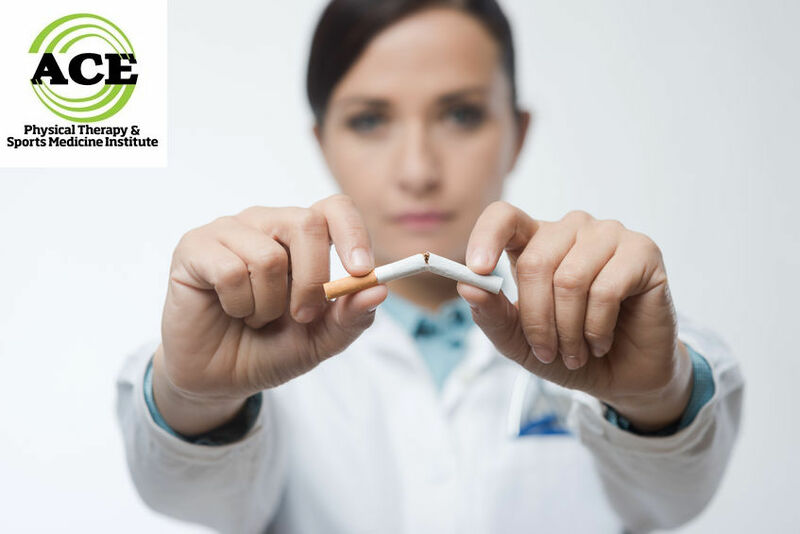 Healthcare professionals including Physical therapists need to be more aggressive with presenting information to their patients regarding smoking cessation programs. There is a slight chance that smoking might help someone avoid OA in their knees, but it is almost certain that smoking will be detrimental to their health if they do it for a long period of time.